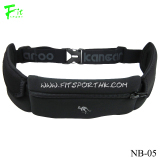 Fit Sport Co., Limited is a professional and exporter for running belt, running pouch, armband, hydration belt and reflective shoe lace. Mainly engaged in reflective shoelace and new design special shoe lace development and various sport bag production integration. We have been exported to American, Europe and Asia. Competitive Advantage: 1. Patent brand quality products with unique design and favorable price. 2. Our agent dealers wide across the North Europe and we expect you----an honest business partner, to be our next exclusive agency. 1. Fits most phone include iPhone 5 and Samsung Galaxy S4. 2. Expand soft elastic webbing, Adjust waistbelt. 3. Five zipper colors for choose. Delivery: 25-30 days after mass production approval. 6. Packing: 1PCS/polybag. / or 1PCS / packaging card.